It has officially been four years since ISIS targeted the Yazidi people in the city of Mount Sinjar, (in the Kurdish region of Northern Iraq). The attack ultimately led to the torturing and killing of thousands of Iraq’s minorities, with many continuing to suffer in captivity. 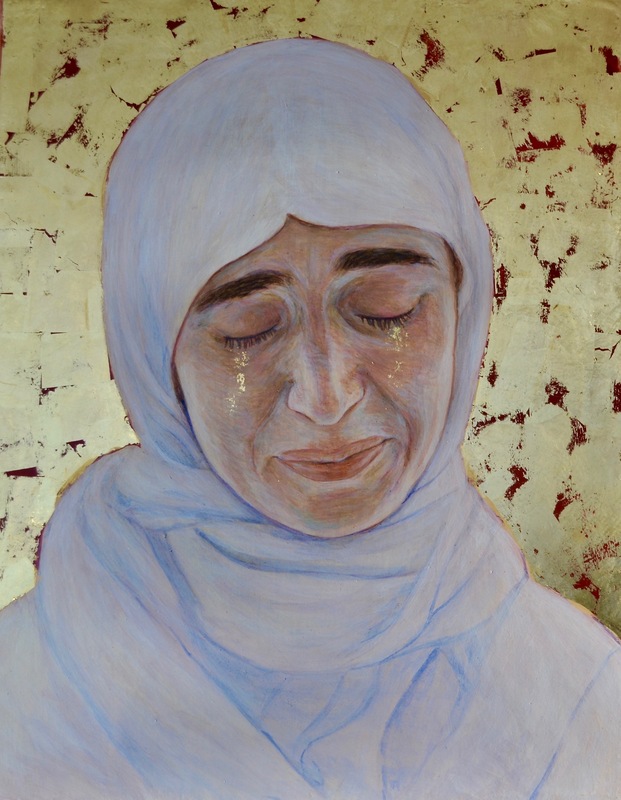 As the genocide anniversary is recognized around the world, artists like Hannah Rose Thomas use creative approaches to not just capture the pain and grief endured by the Yazidi minority community, but also to help the women affected by such atrocities to communicate their stories with the rest of the world through visual testimony, all the while reaping the benefits of art therapy. “The aim was to teach the women how to paint their self-portraits as a way to share their testimonies with the rest of the world. Testimony is an important part of the recovery process post-torture and sexual violence. It helps to counteract the conspiracy of silence that so often prevails within communities of mass trauma," Thomas noted. After learning to draw and paint for the first time, the Yazidi women that Thomas had been spending time with requested that she paint their portraits. They felt this could be an opportunity to share their experiences with the world. They chose to be painted in their traditional Yazidi dress: white robes. 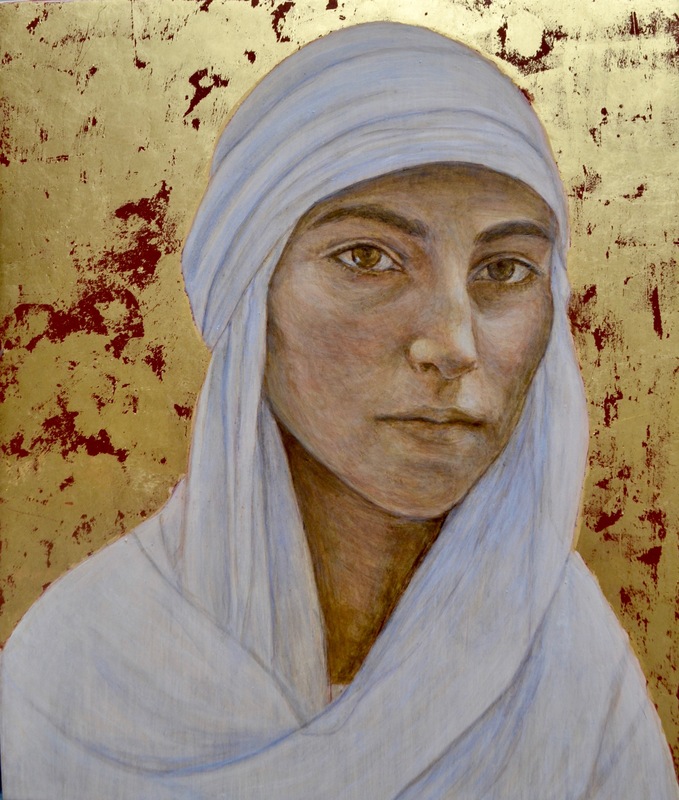 "The gold leaf I used for the background of each portrait is reminiscent of icon paintings. I hoped to convey the dignity and sacred value of these women, in spite of all that they have suffered in the hands of ISIS," said Thomas. 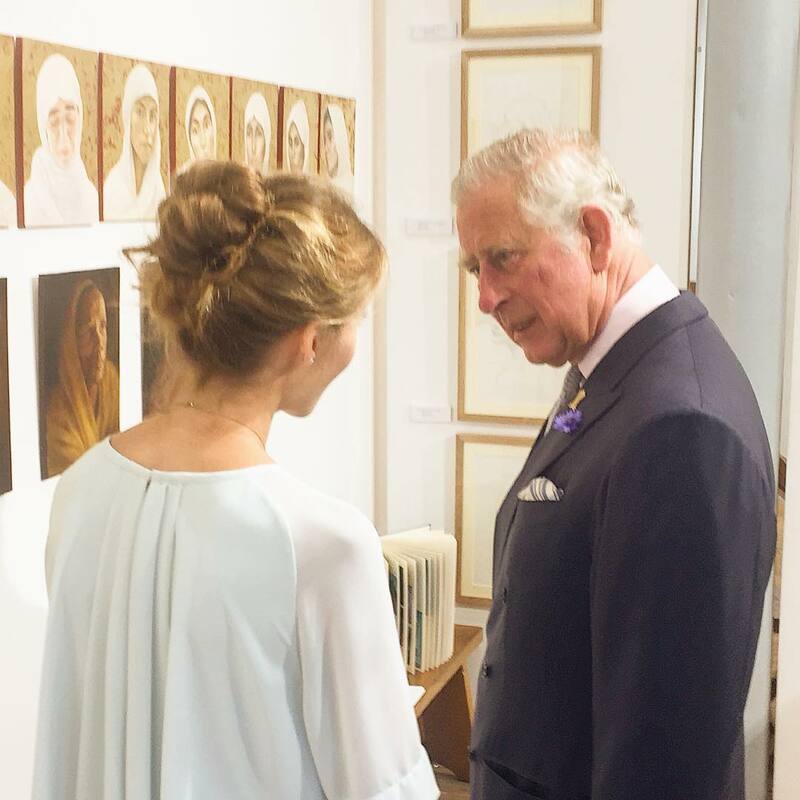 Thomas’ work was recently featured in HRH the Prince of Wales’ exhibition in Buckingham Palace this summer. "These paintings are a testament to the strength, dignity and unspeakable grief of the Yazidi women, many of whom still have children and loved ones still in captivity." 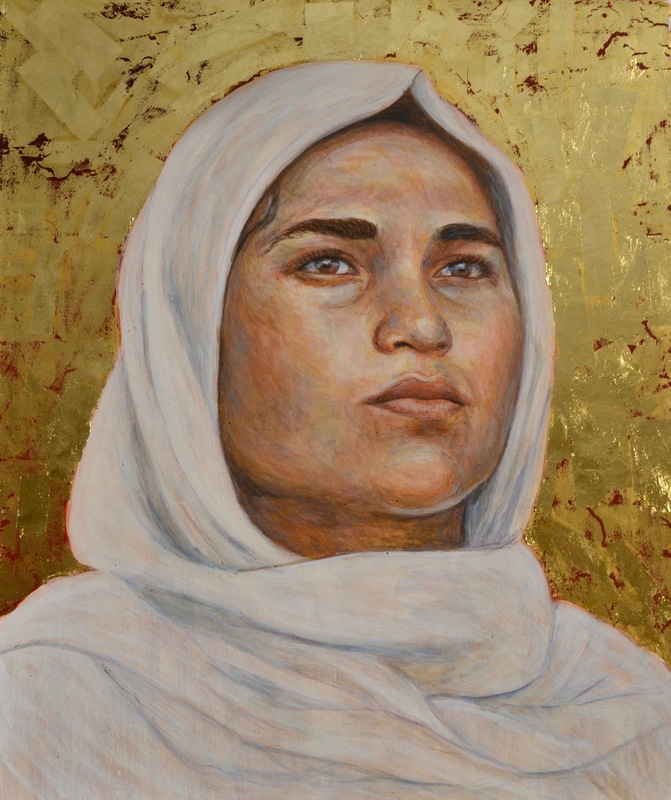 The Yazidi women depicted in Thomas’ artwork are from Dohuk, Northern Iraq: all escapees of ISIS captivity. The paintings are a memorial to the genocide, ensuring that the voice of Yazidis, and particularly these women, are not forgotten. Thomas sees her art as an extension of advocacy, bringing awareness to the conflict to places of influence in the West. In addition to Buckingham Palace, her work has been displayed at the United Kingdom Houses of Parliament, as well as the Department for International Relief. The Yazidi women told Thomas that painting was a helpful distraction from their memories, grief and the daily struggle to survive.